HEAR™ is a community outreach program seeking to empower women to be on the alert to protect themselves and their loved ones. 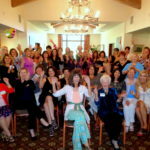 Under the umbrella of the Ovarian Cancer Alliance of San Diego, HEAR™ provides presentations to community groups and civic organizations so they might benefit from some amazing ovarian and other gynecological cancer survivors’ experiences and the knowledge they have gained from their cancer journey. Ovarian Cancer, once called the ‘silent killer’ is no longer the ‘silent killer’. There ARE symptoms! There ARE risk factors! 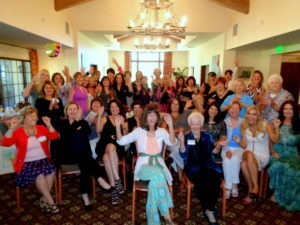 Click here to see photos from our past HEAR™ events. For questions about the HEAR™ program please email HEAR@ocaofsd.org. 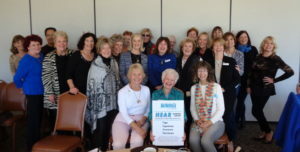 Since 2013, the HEAR™ program has brought awareness of the symptoms and risk factors for ovarian and other gynecological cancers to over 78 different community groups, reaching over 5000 women, men and high school girls. This has included several presentations to Spanish speaking audiences, to whom we provide our handouts in Spanish. Copyright © 2019 · Ovarian Cancer Alliand of San Diego · All Rights Reserved. Ovarian Cancer Alliance of San Diego is a 501(c)(3) non-profit organization.